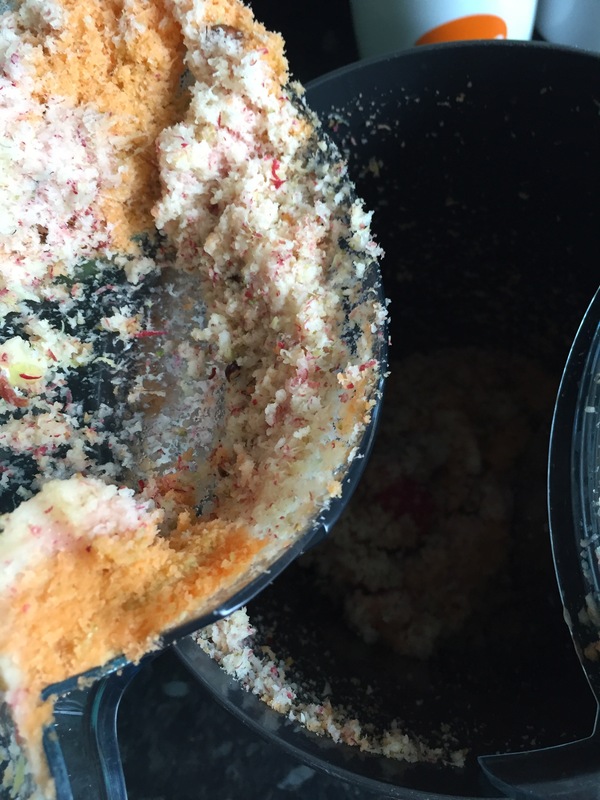 I have wanted a juicer for ages, but I’m stubborn and refused to buy a cheap one. Therefore I waited patiently for a very….long time. 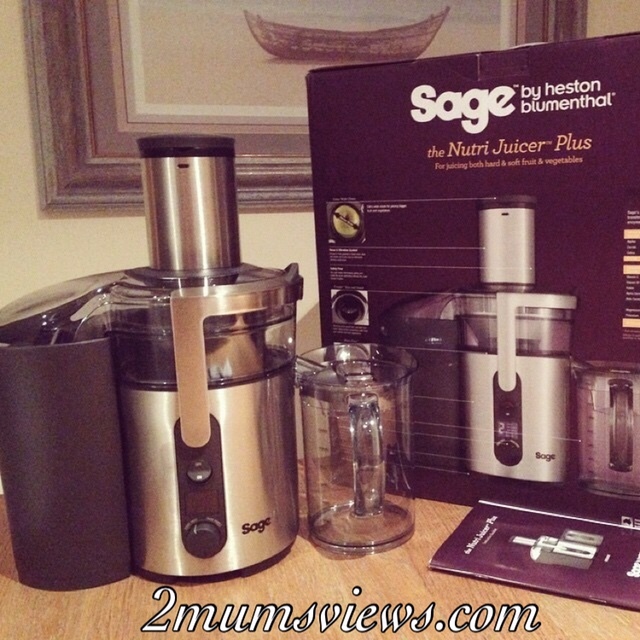 So you can imagine my excitement at unboxing the Sage™ The Nutri Juicer™ Plus, a bit like how my boys would react opening the PlayStation 4. I was completely ecstatic, although my husband and kids couldn’t understand what all the fuss was about. I have to say this juicer is sleek and stylish! 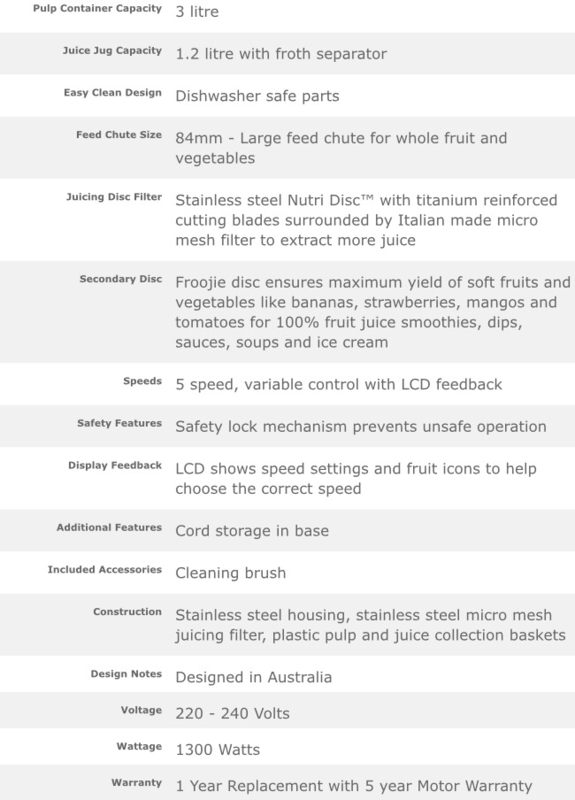 This is a premium quality Centrifugal juicer with lots of features. To keep vitamins and nutrients intact, you need to juice quickly and evenly so you don’t push heat and air into the cells. 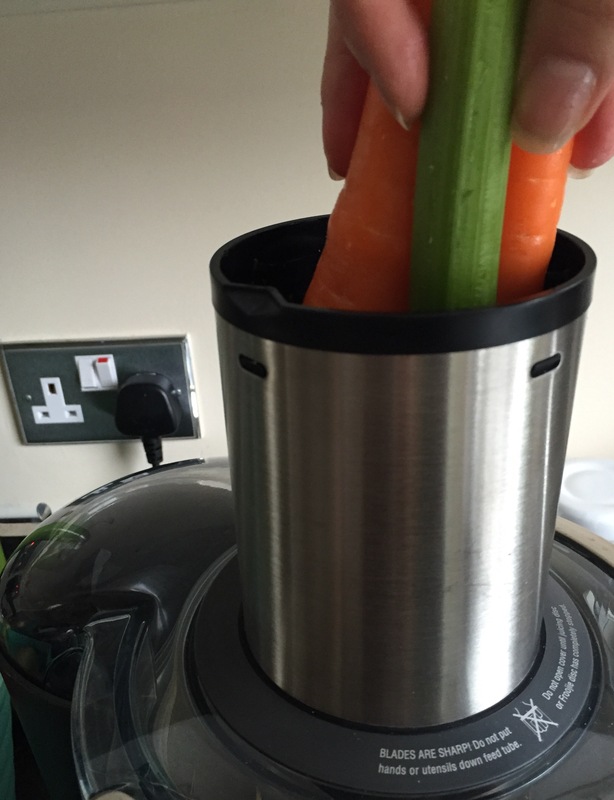 With a centred feed chute and less than 2 degrees of heat transfer, this juicer maximises the nutrition. 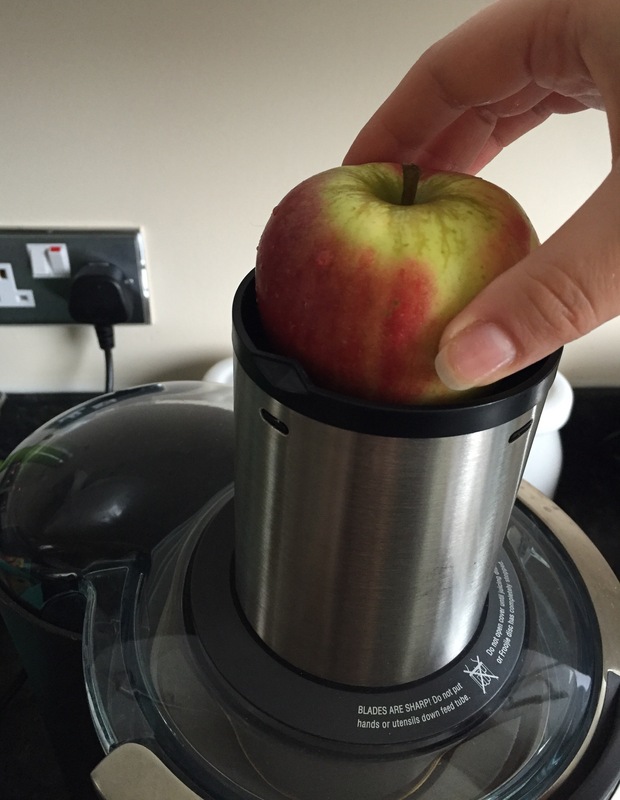 Extra Wide 84mm Feed Chute – designed for juicing whole fruit without chopping or slicing. 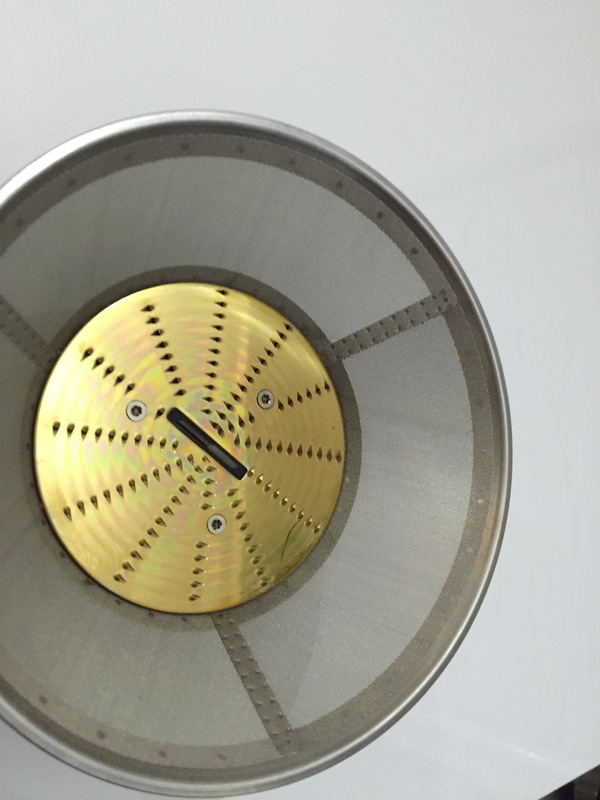 Micromesh Filter – a thinner mesh reduces the surface area between the fruit and the cup. These unique Italian made filter baskets have almost 40,000 tiny pores to help extract up to 30% more juice. Froojie Disc – a soft fruit attachment purées bananas, mangoes and strawberries into a fine pulp. Perfect for making dessert coulis, or when mixed with fresh juice, creates 100% fresh fruit smoothies. Variable Speed Control – soft fruits extract more juice at lower speeds, while hard fruits extract more juice at higher speeds. The variable speed dial allows you to precisely control the juicing speed to get the most juice out of every fruit or vegetable. 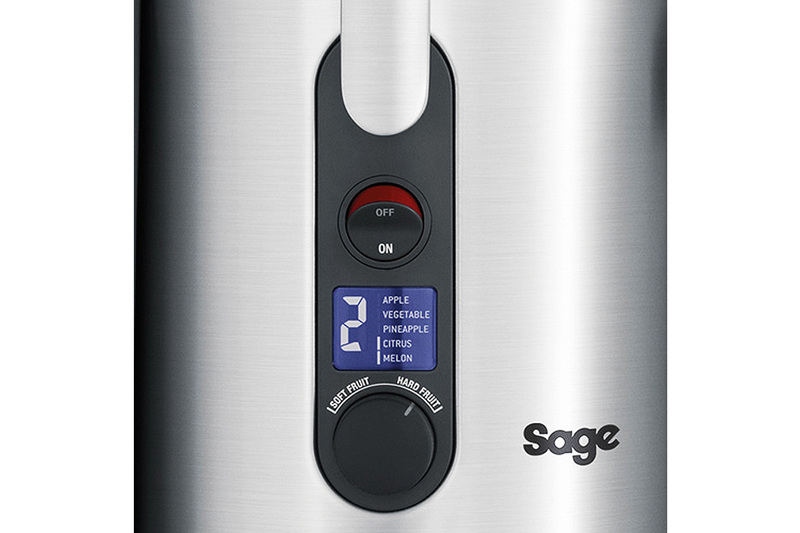 External Pulp Ejection – all Sage juice extractors automatically eject the dry pulp into a collection basket while juicing. 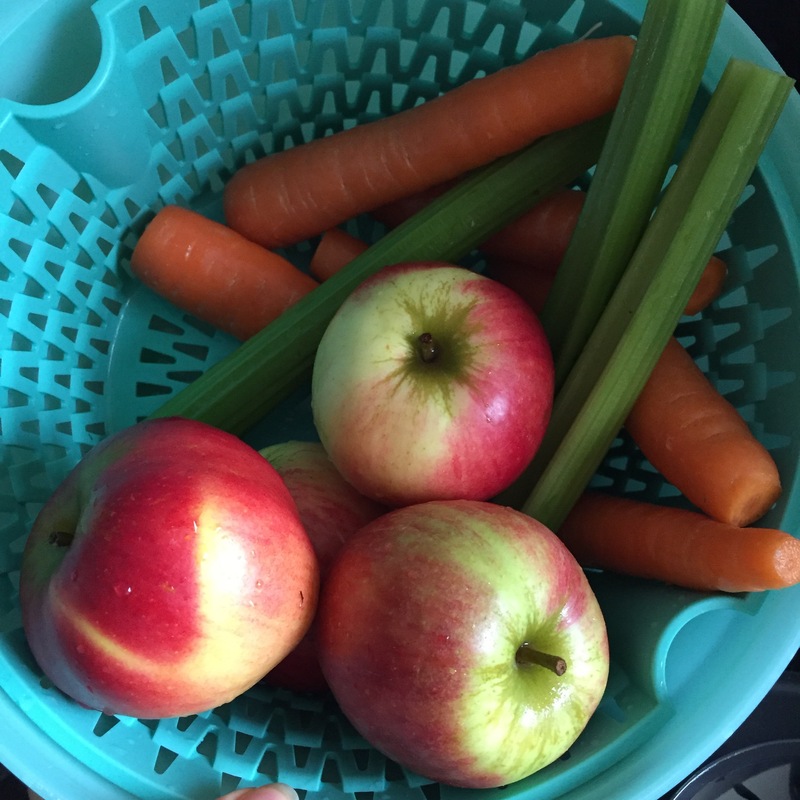 The pulp collection basket is located externally for easy clean up and minimal down time when juicing many litres at a time. Easy Clean Design – smooth, rounded parts without food traps prevent pulp from sticking and make rinsing under the tap fast and simple. The easy clean models also come with a specially designed scrubbing brush to clean the filter mesh quickly and easily. It is very easy to assemble and diassemble for cleaning. The juice disc, jug and lid are dishwasher safe (top shelf only). It also comes with a cleaning brush for cleaning the juice disc. The instruction manual is easy to follow and also includes some recipes. 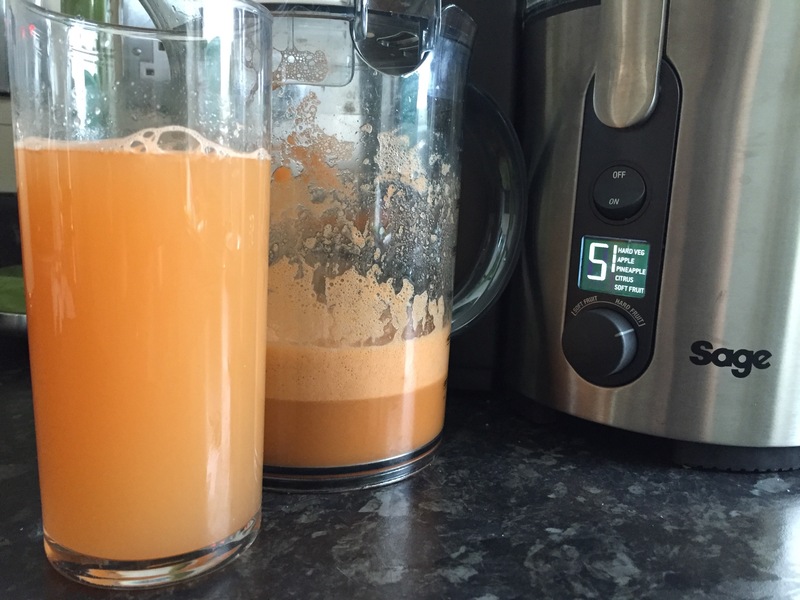 If you’re new to juicing start with the simple recipes, like apple, carrot and celery juice. One thing I’ve learnt the hard way when juicing is not to get carried away; in my case I wanted to get all the herbs and superfoods in too. I ended up creating dark green foul juices that no one wanted to try! So make sure that your fruits, vegetables and herbs go well together. 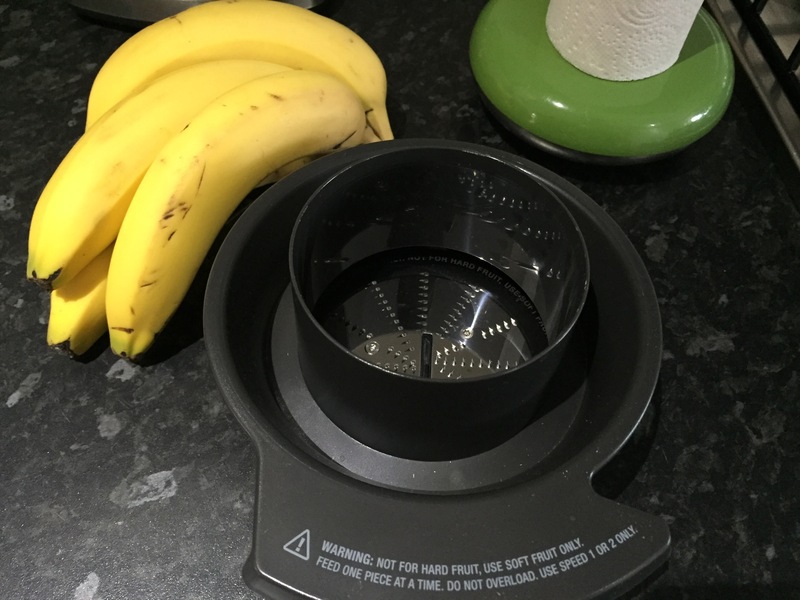 This juicer is very sturdy and is capable of juicing a lot of fruit and vegetables in a short space of time. We’re a family of 5 so I normally do a marathon juicing session at the weekend. During the week I like to make myself a delicious glass of apples, carrots and celery in the morning. It is best to line the pulp container with a plastic bag to collect the pulp. Pulp can be used in other dishes, as compost for the garden or discarded. 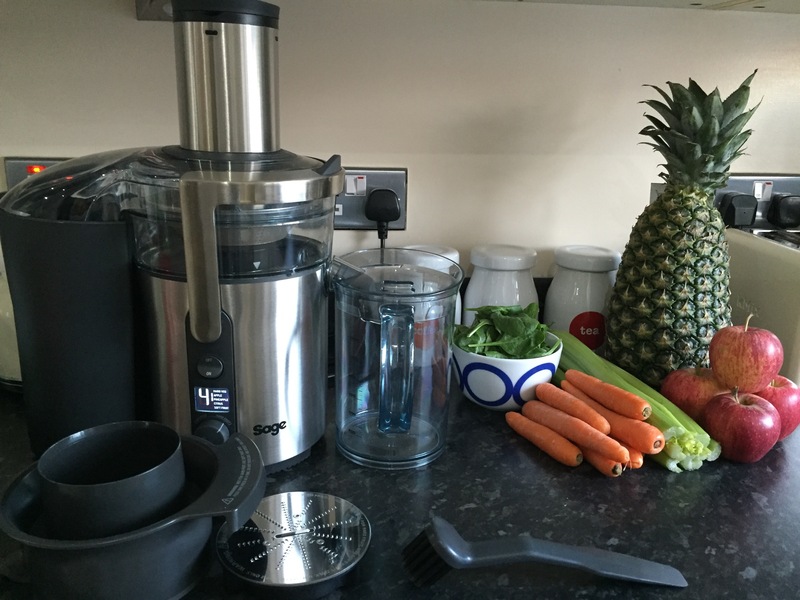 If you love juicing and are looking for a powerful juicer that can tackle hard and soft fruits effortlessly, then I highly recommend the Nutri Juicer plus. I hope you’ve found this review helpful. Please feel free to leave any comments below.